Memory foam mattress topper is the most favorable topper on the market. With a lot of beneficial features of memory foam, the topper can bring you the most comfortable and healthy sleep at night. However, to choose the best memory foam mattress topper for your baby and your family, you need to know some tips. Memory foam is a material invented by NASA to make comfortable cushion for astronauts on space, which can reduce the impact of g-forces at the time of take-off. It is then developed to become a bedroom materials using to make mattress, mattress topper, pillows, etc. Memory foam mattress topper has a lot of advantages, including supporting firm mattress (softening and extending the durability of the mattress), reducing muscle pains and improving comfort of body, isolating the movement of each individual, etc. It is said that memory foam mattress topper is the best topper which is the number-one options of customers. It can completely replace a memory foam mattress which not many people can afford. Density of memory foam mattress topper is the most important feature to evaluate its quality and comfort. It is not that the highest density topper is the best, because if your topper is too dense, it will cause the heat is trapped and make you get hot during sleep. To choose the suitable density for you, you should consider your weight. Foam density is actually the measurement of how much weight in pounds polyurethane foam can handle per cubic foot. The high density memory foam can confront your body weight and shape very well, provide softness and comfort, as well as eliminate body pains. Normally, people with average weight can sleep on 3 pounds memory foam toppers. And sleepers with serious back pains can choose 4-5 pounds memory foam toppers. Thickness of memory foam mattress topper will decide the firmness or softness of it. 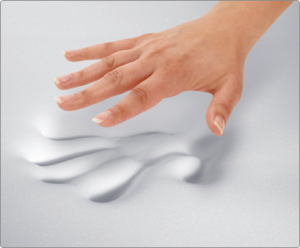 Generally, customers usually use memory foam topper of 1, 2, 3 and 4 inches in thickness. If you prefer sleeping on firm surface, 2-inches in thickness can be perfect for you. If you love cushioned surface which can reduce your back pains, you should choose the toppers with three or four inches in thickness. You also need to check your mattress when you consider thickness feature. If your mattress is quite old and firm, a thicker topper will support better in making your mattress comfortable and softened. You should notice that thickness of memory foam topper is inversely proportional to the density of it. It means that low thickness should go with high density for the best body support. Memory foam is a great material with various benefits, but it is usually complained as the worse product in regulating body heat. The topper retains heat inside its high density and makes sleeper get hot during the night. However, the innovation of memory foam technology allows manufacturer improve this problem a lot. They make new designs and constructions which can allow air moving up and down; let the heat removed through open cells, etc. They also combine memory foam with other materials having great capacity in cooling down temperature such as wool, down, etc. 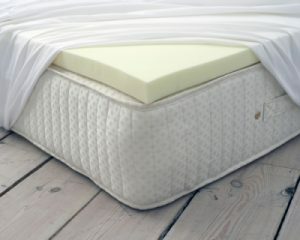 Beside, gel memory foam is considered as the best material for a cooling mattress pad. As a result, you should consider the memory foam topper with those features to have the best temperature regulator. Memory foam mattress topper varies in different sizes such as twin, full, queen, king, California king, etc. However, sometimes it does not fit your mattress size. For example, a queen memory foam mattress topper may not fit the queen-size mattress. Therefore, you should take measurement to make sure the topper completely fit your mattress in dimensions. You should also purchase the topper with less chemical odor (bad smells) by choosing the ones have additional natural materials such as green tea and some oils. Some mattress topper is featured by hypoallergenic components to prevent main factors to cause allergy such as bacteria, dead skin, bed bug, dust mites, etc. And finally, don?t forget to read customer?s reviews and comments about different products of memory foam mattress toppers. It is the best way to find out what is the most suitable memory foam mattress topper for you. We spend 1/3 our life for sleep. Needless to say, sleep is very important activity for everyone. And, it’s even more important for a baby. I started this blog to share with you all necessary things about baby sleep. As a mom, I have had hard time taking care of my babies and their sleep. 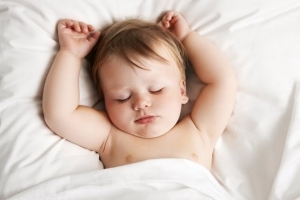 I hope that this blog can give you some useful information, guides, tips to take care of your baby’s sleep.